Zephyr (sail): Has sailing found its Arthur Ashe? Has sailing found its Arthur Ashe? Here's a good follow-up topic to a March Zephyr post on color in sailing. Twenty-five-year-old Ashton Sampson is a (the first) black South African crewmember racing for America's Cup Challenge 2007 sailing Team Shosholoza. No need to restate – it’s been well covered. 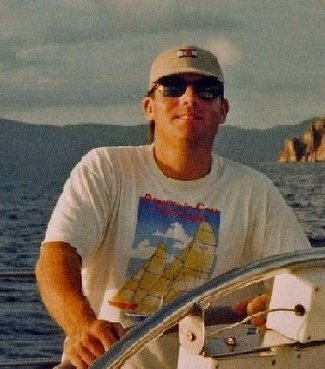 On Zephyr Andy Burton commented in regard to the lack of color in sailing, “I like to think that sailing is the last resistance to the rampant political correctness so pervasive in our land society. If black people want to get into sailing, they will.” I agree with him about self determination, but as any realist can tell you, a black person simply wanting to be part of something is not always enough to make it so. In the case of sports that resist integration (these days we can count sailing and lawn bowling), often there's a person who pushes the boundary with lasting impact. Think Arthur Ashe, Jackie Robinson, possibly even Tiger Woods. Is Ashton Sampson sailing’s Arthur Ashe? Maybe so...in South Africa. But look at the facts - only three blacks have sailed in the America's Cup, all in 1992. Two with eventual winner America3, and one with Team Dennis Conner. Put aside those lamentable stats and agree that America fielding black crew members is one thing, but South Africa is a completely different beast. Andy Burton commented on Zephyr, “I can't point to any of my friends and say they wouldn't do their best to welcome anyone who was passionate about our sport, black or white.” Again, I don’t disagree. But racism is easy to dismiss as an individual...oh no it's not us...it must be a few lone white hood wearing crackers, or, in the case of sailing, some moronic bigot at the local yacht club, on the board of the sailing association, etc. But actually this is our collective problem... which is exactly why Ashton is getting press. It’s easy to frame it in the context of South Africa and post-apartheid firsts but this discussion exposes sailing in general – a lightening rod for the last resistance to the rampant integration so pervasive in our world. I just came across this as I am new to the bloging world. I have noticed in my short years of sailing there is a real lack of "color" in this world. Now I know I have seen a couple of "black" sailor however they are rare. Yet in my short journey into this world I have not met any outright dislike for me. Perhaps some inner shock that a man of color has an interest in this, but nothing, no one that has been a turn off... yet. Everyone I have encountered to date has been open and helpful. I am not out there with the moneybag sailors so maybe that is the difference. I plan on adding some "color" to the crusing sailing scene, more than just some local native getting his/her picture taken with some traveling crew. Not that I am on a mission, other than to enjoy my boat and some good sail time, but being who I am, it will make the "news" at some point.